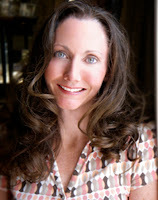 Sherri Rinker is the first-time author of the New York Times bestseller Goodnight, Goodnight Construction Site (Chronicle Books, 2011). Down in the big construction site, tough trucks work with all their might. But, now it's time to say goodnight! Even the roughest, toughest readers will want to turn off their engines, rest their wheels and drift off to sleep with this sweet and soothing story. 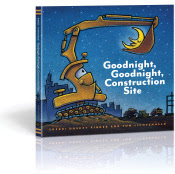 Goodnight, construction site! Welcome, Sherri. Would you begin by telling how you learned to write picture books? Thank you for inviting me to do this, Kathy! I'm honored you would ask. This first question is a complex one because I don't have a concise answer. First, I'm a very religious person, and I do think that the inspiration for this book was really a gift. It came to me so clearly and developed so quickly that I don't know how else to describe that process. That being said, I've always had a powerful draw to writing ― in fact, I started college as a journalism major before the art/design bug tugged at me again, and I switched to visual communications. And, because I have such a strong pull to both words and visual, I've always been fanatical about picture books. My boys' shelves are packed with them. (My husband jokes that my advance on Construction Site has almost paid for my picture book habit.) So, I think that having had such extensive exposure to that medium, having seen and read so much, certainly helped me. The last component might be that I both love and understand my audience. I wrote this book for my youngest son, so it was written out of love, for a child that I love. I think (and hope!) that the heart of that is part of what has made the book so successful. Your book seems like it would be fantastic at getting even the most rambunctious kids to go to sleep. Where did you get the idea for your book? Zak, my youngest son, loves trucks. I almost can't state that strongly enough! Books, videos, games, puzzles, toys ― you name it, if the subject is trucks, we probably own it. And, of those, construction trucks were/are a particular fascination because they DO so much cool stuff! So, when Zak was quite small ― maybe two years old - our evening routine would begin with reading time, then evening prayers, and then sleep. I soon discovered that reading any of his favorite truck books before bed tended to NOT settle him down... in fact, they revved him up! And then he would begin his "thank you" prayers, including every kind of construction truck he could name. By the end, he was WIRED ― and much more suited to playing than going to sleep! So, we began to conclude our routine by imagining a construction site, talking about how very hard those mighty trucks had worked all day, and how, just like us, they were ready for some much-needed rest. Very soon, the idea for the book evolved. How many drafts or revisions did the book go through? The draft that I submitted came together rather easily and without much reworking. But the editing process with Chronicle was horribly painful for me ― I think we did seven rounds! Looking back, I can see that the process definitely improved the book. Most of the changes involved the verse meter; Chronicle was determined to make it as perfect and smooth as possible. It was frustrating, but ultimately so worth the effort because many of our reviews have mentioned the book's readability. I joined the the Society of Children's Writers & Illustrators (SCBWI) and used their publication directory to create a long list of publishers who would evaluate an unsolicited manuscript, fully expecting that it would be years before I found a home for the concept. Chronicle Books was at the top of my list, the first publisher to which the manuscript was sent. Three months later, I received a call from Mary Colgan, my editor, that she was interested. How did you help make the book become a bestseller? Wow! I wish I could take credit for that! But, all the real credit goes to Chronicle Books. First, they were fastidious about the editing process and would really settle for nothing short of perfect. Second, they had the vision to have Tom Lichtenheld illustrate the book, and he was a fabulous choice. I think that Tom did an amazing job, and the whole feeling of the book ― just the right combination of tough and sweet with a timeless feel ― that's Tom's gift. He's such a talent, and I'm blessed that he's part of this. And, finally, I think that Chronicle's PR and marketing departments are second-to-none. They are a creative, committed, positive, knowledgeable group that put a ton of work into getting the book noticed. You're also a mother and a graphic designer. How do you manage to carve out time to write? What advice do you have for others trying to find time to write? Throughout this process, I've had the pleasure of meeting other working parents who are also authors. And, we all have one thing in common: we sacrifice sleep to fit it in! There's really no other way. During the day, the priority is our kids, our jobs, our spouses, our homes. Some of us start writing after the kids are in bed. I typically get up no later than 5:30, and often earlier, because I'm fresher in the morning. During the day, I sneak writing in whenever I can. I keep my iPhone near me, and I'm always jotting down notes ― pieces of verse, small fragments of prose that I think I might use... so I'm often thinking about it. I find that, while I'm waiting for the boys to finish swim team practice or tennis lessons or whatever, sometimes that's a good time to give a problematic section some thought. And, I don't typically watch television. 1. Write from a place of love and joy. 3. Write because you have something to say, not because you want to be published. 4. One of my favorite expressions is, "When you feel tangled, lie still and let God untangle you, or you'll just make the knot tighter." For me, writing requires that. I need to walk away sometimes and let the thoughts work themselves out. 5. After my book was well underway, I happened upon some advice from some agents and editors who had done interviews online. At least three times, I read, "Don't do any bedtime stories" and "We don't want books that rhyme." I feel fortunate that I never read those before I submitted my manuscript! If you feel passionate about your story or concept, ignore the "rules." Let your soul have its say, and see what happens. 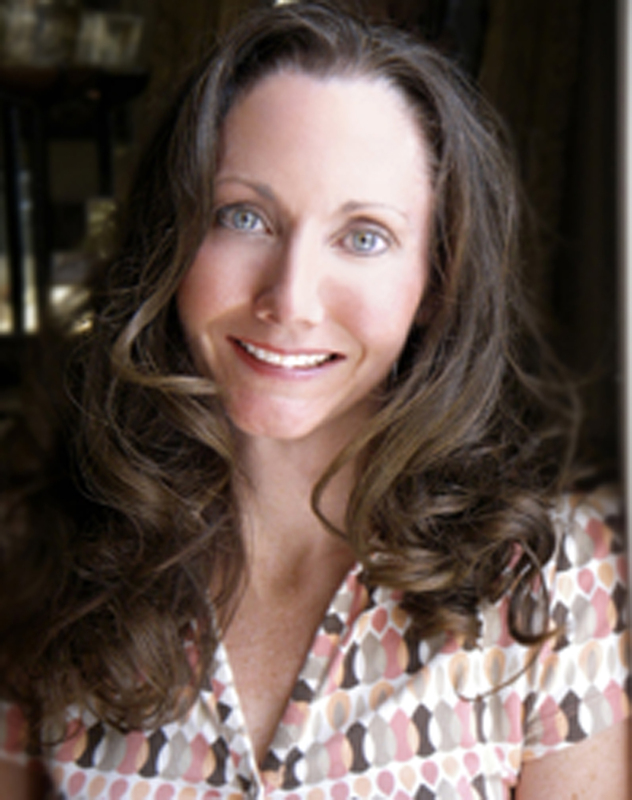 Thank you, Sherri, for your interview. Readers, do you have any tips on balancing motherhood with a writing career? Comments are welcome!